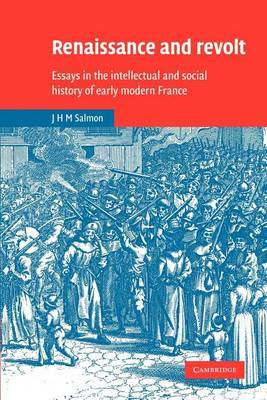 The essays in this volume place the history of ideas and of literature in early modern France within their social context. They include the author's pioneering and authoritative analyses as well as particular studies of popular revolts. An extensive introduction contrasts the author's methods with other recent approaches, including those of the annaliste school. The stress throughout these essays is on change and discontinuity rather than stability and tradition. Few historians have Professor Salmon's expertise in both intellectual and social history. This volume brings the two together in a manner that shows a lucid, well-crafted exposition of their intricate and overlapping relations.